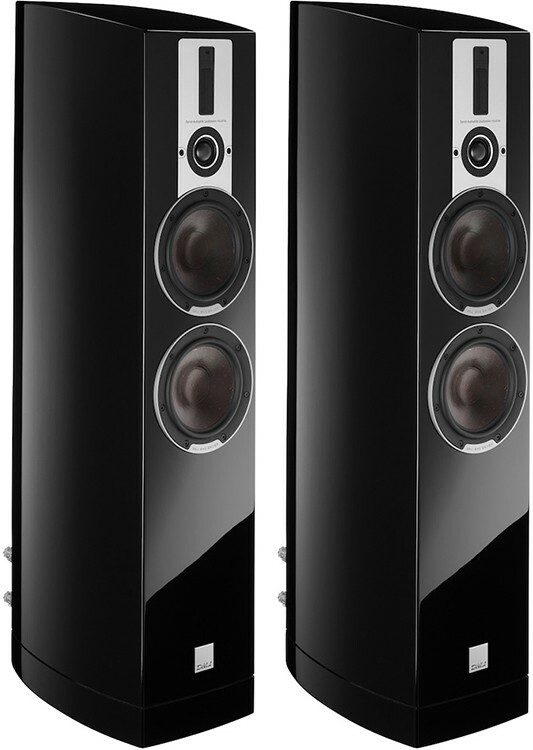 Dali Epicon 6 Speaker is a 2½-way design, with an additional woofer, to the Epicon 2, responding below 600Hz. For the higher frequencies, the Epicon 6 utilises a hybrid ribbon tweeter as which turns this speaker into a '2½ + ½ way' design. Designed to leave an impression on the listener, the cabinet exterior of the speakers capture both your eyes and ears. The basis of the Epicon 6 is the driver mechanism. These speakers comprise twin 6½" bass woofers which are grounded on an LDMS, their revolutionary soft dome ribbon fusion tweeter. 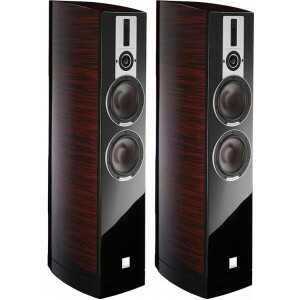 The result is a departure from traditional loudspeaker standards. 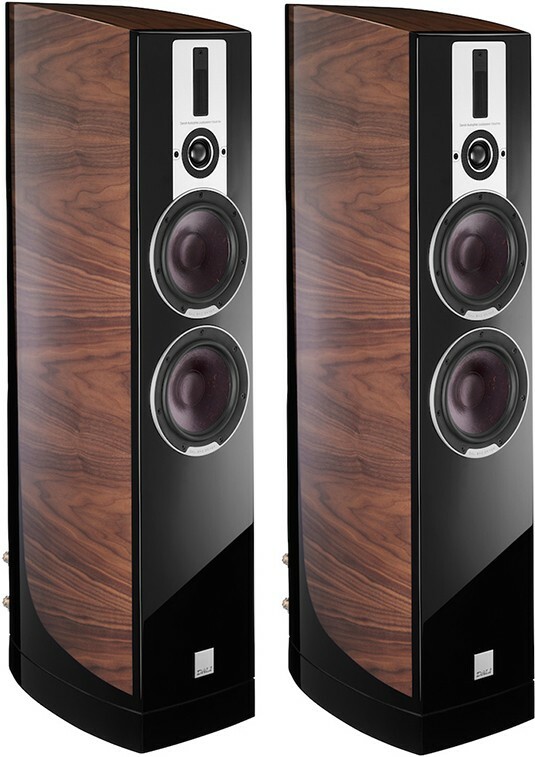 Dali has employed an advanced hybrid tweeter for these speakers which means the Epicon 6 can render the subtlest high-frequency detail. The tweeter used here is the same as that used in their premium speakers. The hybrid tweeter is created from an ultra lightweight dome tweeter (29mm) and a ribbon tweeter (10 x 55mm). The dome works together with the ribbon tweeter for an ideal high-frequency output. 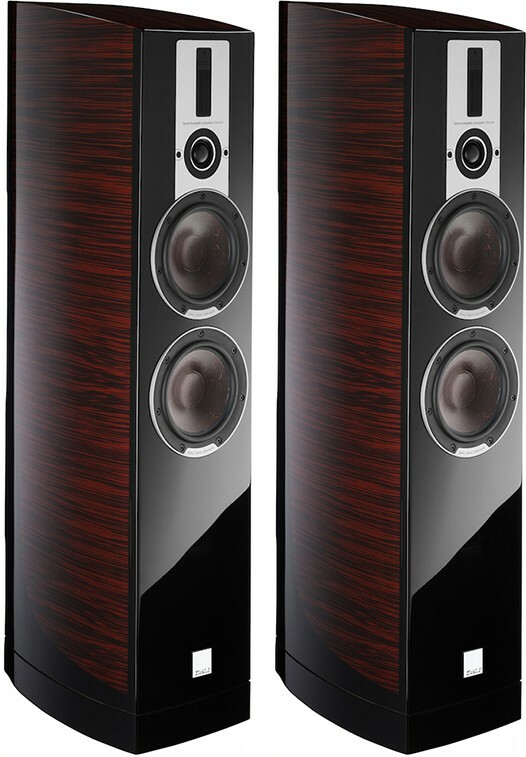 By employing a hybrid design you have the advantage of each differing tweeters' unique properties which Dali have invested years in perfecting. The hybrid design tweeter has extreme power handling with a low resonant frequency and exceptional headroom for high intensities. Extreme excursions are all central characteristics of oversized soft dome tweeters. Dali has also incorporated a super thin magnetic fluid for cooling, and the fluid has a high saturation flux point for increased power handling. The result of the design choices is the speaker has fantastic control of the coil movement, especially at very high sound levels. The ribbon tweeter performs within a relatively wide frequency band whilst having superb dispersion characteristics for the higher frequencies. The tweeters transition slope is at approximately 10 kHz, with the ribbon being fully involved from 15 kHz and responds up to and above beyond 30 kHz, significantly above the audible range. The Hybrid Tweeter design results in a tweeter with a wide and smooth on the horizontal plane. The detail on the faceplate of the tweeter is also designed for optimal horizontal dispersion. With many years experience of designing loudspeaker drivers and manufacturing them in their own workshops, Dali can be assured of the quality of the components and the finished products. 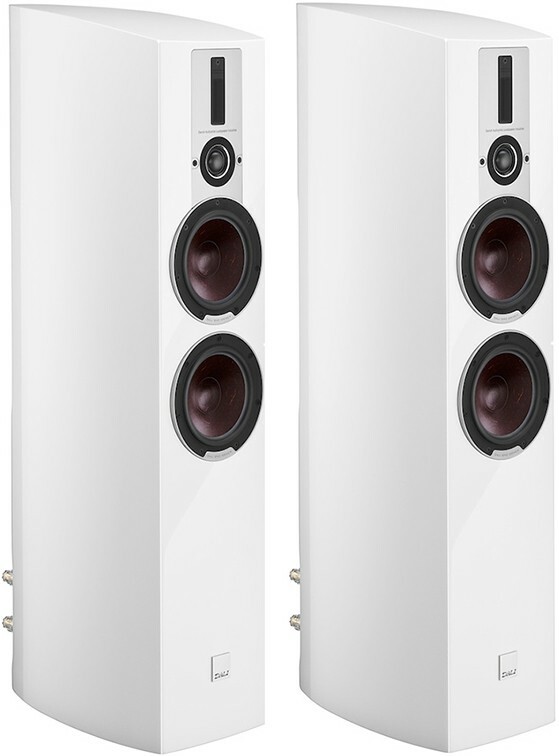 The in-house production facility was established in 2009, the result is the Dali Epicon 6 woofers, not only designed by Dali but also manufactured at their Dali headquarters in Denmark. Dali believes in designs which ensure low mechanical loss and they want the amp voltage and current to be a factor in controlling frequency representations in their balanced designs. 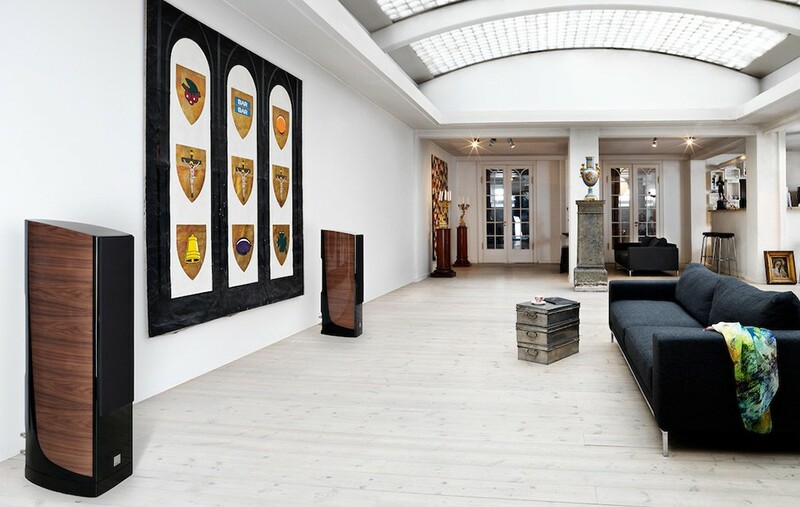 The wood fibre technology has been shown to be important if you wish to reveal the fine detail and dynamics recordings, with very little loss of information. By improving the stiffness of light paper cone membranes, with wood fibre, they ensure top-class behaviour. The cone sits in a rubber low-loss surround shaped to a die-cast aluminium structure. The production process for the of the cone, surround, voice coil and chassis is done with high precision tools to ensure all of the components are aligned perfectly. The cabinet in any loudspeaker is integral for its overall performance, it tunes the drivers, removes any unwanted resonant energy. As a consequence, the cabinet must be highly rigid to provide the perfect working environment for the drivers to operate within. The front baffle, top and sides of the Epicon 6 undergoes a heat process that press forms them into an organic shape. The Dali design of the cabinet increases its overall rigidity and significantly reduces the cabinet resonance. Furthermore, the standing waves are practically completely removed since there are not any surfaces that could reflect the output sound. For the Epicon 6, Dali decided to take a magnet system further to reduce possible distortions generated by inferior magnet systems. Using a Soft Magnetic Compound (SMC) material, which gives exactly the right physical properties, such as low electrical conductivity and high magnetic conductivity. By using the new magnet system, Dali has reduced the distortion caused by a mechanical loss in a magnet system. The very high magnetic conductivity is instrumental in more or less eliminating the frequency dependent effect of hysteresis. The SMC material removes the induction of magnet fields in the magnet and lowers the eddy currents caused by voice coil movement. The resulting distortion reduction is both measurable and audible. Measuring 33mm the front baffle is dual-layered and ensures that the driver's energy is solely acoustic rather affected by cabinet vibrations. Also, the front baffle is curved to ensure the air output is smooth without affecting the acoustic performance of the speaker. The crossover in these speakers are hard-wired and located at the cabinet bottom in its own enclosure which ensures that the output sound is free from any dynamic pressure variations of the cabinet. The cabinet is finished with a lacquered real wood veneer; which is also hand polished with a high gloss between each layer of veneer. The veneers and lacquer are layered 10 times which results in an extra 2mm thickness on the cabinet and a sturdier more rigid cabinet. The CNC cutting for drivers, ports and terminals has to be done after the painting and veneering to ensures the perfect fit.